Sales of existing Queens homes have continued to improve in 2012. As a matter of fact, July and August had the most home sales of the entire year. 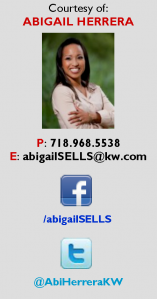 I believe that affordability conditions are very good for the Queens housing market. Mortgage interest rates have been at record lows this year, while rents have been rising at faster rates. Combined, these factors are helping to unleash a pent-up demand. However, the market is constrained by unnecessarily tight lending standards and shrinking inventory supplies in some neighborhoods, so housing could easily be much stronger without these abnormal frictions. With mortgage rates beginning to rise, coupled with strong affordability, now is still one of the best times in history to buy a Queens NY Home. 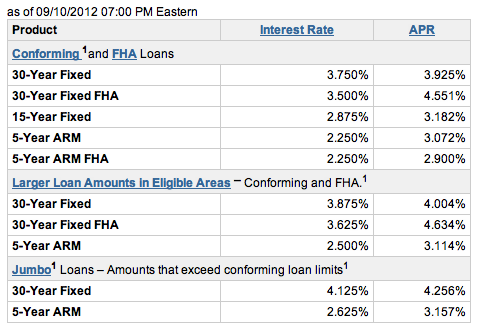 Mortgage rates at or around 3.66% are up slightly from 3.53%, possibly indicating rates have finally hit bottom. These are some of the lowest rates on record since 1971, increasing the urgency to buy now. While home sales grew .2% from last month to 658 units, year-over-year sales increased .9%. According to the National Association of Realtors, existing home sales rose in July with the national median sales price reaching five consecutive months of year-over-year growth. In Queens, we have seen year-over-year growth in 3 of the last eight months, a sign that home sales are not growing at the rate of the country but we are not far behind. Residential home sales in Queens decreased 6% year-over-year to 382 units. Condo home sales, on the other hand, increased 8% to 53 units. Finally, Co-Op home sales increased 13% to 223 units, the 3rd consecutive year of year-over-year increases. Rising inventory supply has placed downward pressure on home prices. The median home price fell 9.2% from last month, and 5.5% compared to a year earlier to $345,000. This marks the fourth month of year-over-year price drops, with the other four months showing price gains. July’s gains are actually the most robust since January of 2006 when median home prices rose 10.2% from 2005. While pending sales dropped .01% from last month to 816 units, year-over-year pending sales increased 9.4%. Residential pending sales in Queens increased 3.5% year-over-year to 470 units. Condo pending sales decreased .01% to 67 units. And Co-Op pending sales increased 25% to 279 units, the 3rd consecutive year of year-over-year increases. 1. Perform the most common updates. On average, someone who intends to sell their home spends about one-third of what they would spend during their entire time in that home. The most common updates are painting, flooring, and lighting–all of which have cost-effective options. 2. Make improvements. Improving your property can be critical to selling a home. According to market research, only 23% of the market sold were homes considered to be outdated while 76% were fairly to very updated. Making improvements is one of the more beneficial things a seller can do to help increase the appeal of their home. 3. Focus on the little things. Updating your house for sale doesn’t have to mean remodeling the whole place. Focusing on individual items that really need updating will make a big impact. Putting a fresh coat of paint or replacing old hardware on your cabinets could be the thing that helps get your house sold.